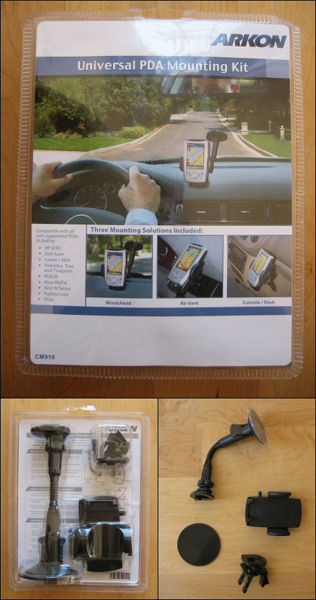 After years of missing calls because I couldn’t find my BlackBerry in my purse while driving, I knew there was something out there to make my life a little easier. I must confess I was at first very skeptical about this miraculous multi-way hanging gizmo. 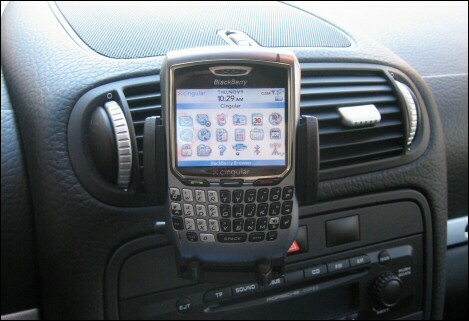 Could I have finally found a way to have my BlackBerry within reach inside my car? 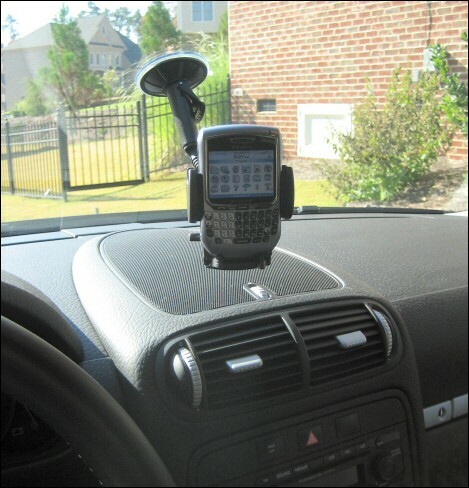 I was pleasantly surprised to see that the Arkon Vehicle Mount does indeed let you choose the best way for you to hang your BlackBerry. At first I looked at that suction cup and thought “no way”. Have I mentioned that I hate suction cups? I just hate them. These little rubbery things that are so easy to install… Yes, you know what I’m talking about. You’ve had that shampoo tray fall inside your shower in the middle of the night, haven’t you? The noise was so loud you thought someone had broken into your house, right? Well, that’s not gonna happen with your BlackBerry! 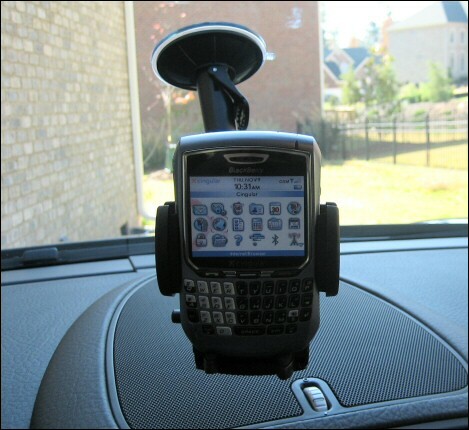 That suction cup stays put and unless you lift the little lever on it I don’t think you need to worry about searching for your BlackBerry on the car floor any time soon. But maybe you don’t like to have that hanging in your windshield. I understand. I’m kind of a “view freak”. You know these people that sit in the car and check every single mirror to make sure you have the absolute best view there is? (Ok, maybe that’s just me…) But that’s the beauty of this thing. There’s another way to hang it. You simply stick the round disk to your panel and then you use the suction cup on it. No drilling, no screwing, no gluing. I don’t want to get my manicure messed up! It’s so straight forward my cat can do it. And no, he’s not a circus cat! Not convinced? I’ll tell you my favorite one! There’s this little insert for the vent… it’s discreet, it’s right in front of me and it doesn’t obstruct my view. A real 10! But since each person has their likes and dislikes, you might prefer one of the other options I mentioned before. Now, have I mentioned that even though it lets you pick which way you want to mount it, it is cheaper than any other pre-defined one? Only $19.95 here!